Gather some bobble head collectors together and swap unique Cheech and Chong gifts. “Hey Mannn” This is a set of two bobble head dolls from the infamous stoners, Cheech Marin and Tommy Chong! This gift would be the best gift at your office Gift Exchange Party! Each bobble head is hand signed by the appropriate celebrity! 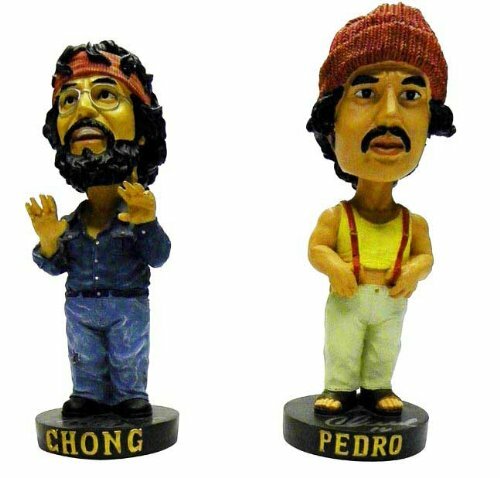 Cheech & Chong Autographed Bobble Head Dolls are sure to cause a super “trip” this holiday season. These unique collector gifts are sure to go up in value! Don’t get caught in a cloud of smoke and miss out on this incredible gift that is sure to please those die hard fans out there!